We have information you must know before you buy the Impala. The carryover 2019 Impala continues to arrive at dealers nationwide. As usual, the mid-level LT is quite popular with buyers and easiest to locate. Production will end in January 2020 as part of GM's move away from passenger cars. Current offers are available on a national basis and will expire April 30, 2019 unless otherwise noted. It's possible Chevy will offer special incentives for Memorial Day weekend. Chevy now offers 12% of the MSRP of 2019 Impala models in stock. For current customers of non-GM brands, the discount increases to $17%. You stand to save up to $6,459 with this promotion on the well-equipped Premier trim — a terrific amount for this model. 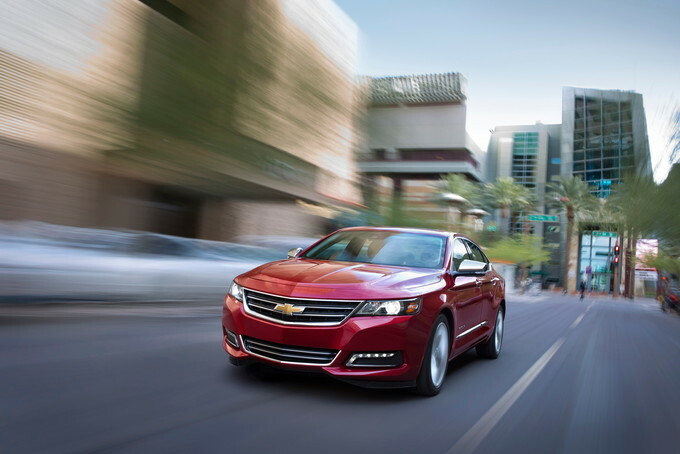 Like last month, you can lease a 2019 Impala LT from $349 for 39 months (10,000 miles a year) with $4,699 due at signing. The effective monthly cost works out to $469, which is far from a good value in our book. Purchasing certainly makes more sense this month. Instead of the cash offers, you can get 0% financing for 72 months on the 2019 Impala. That's probably the best deal you can hope for when financing. 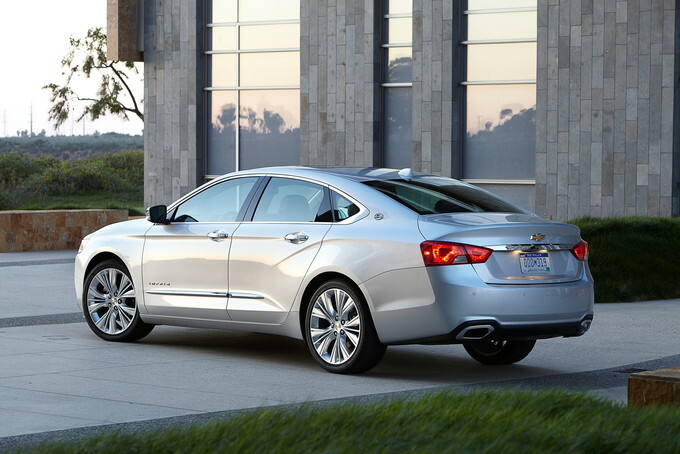 The 2019 Chevrolet Impala continues to shine in the full-size sedan segment and is a bowtie that’s hard to pass up. 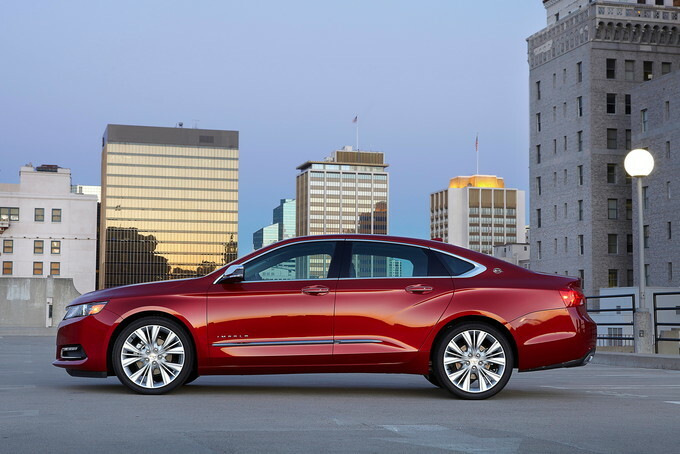 The Impala offers consumers two engine options, three trim levels, and several driver-assist safety systems and technology perks. Returning fairly decent fuel economy, the Chevrolet Impala is a great option for commuters or small families searching for a dependable daily-driver. The Impala is mainly unchanged for 2019. 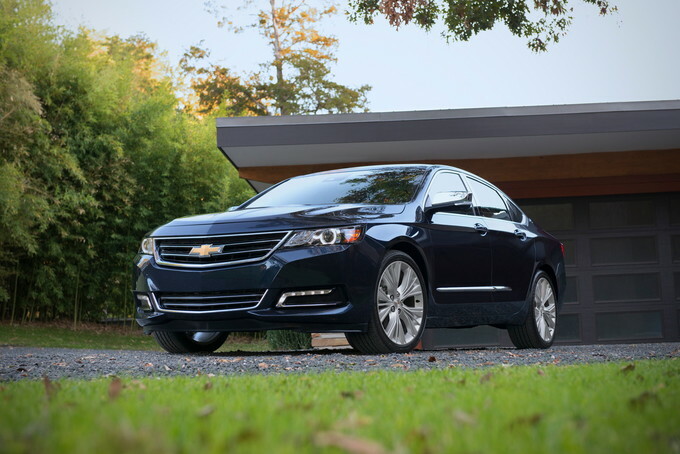 The 2019 Chevrolet Impala is a roomy, four-door sedan that's offered to North American consumers in three distinct trim levels: the LS, LT, and Premier. The Impala is a front-wheel-drive-only sedan with two engine configurations available. The base receives power from a 2.5-liter four-cylinder engine that produces 197 horsepower and 191 pound-feet of torque. Power is supplied to the front wheels via a six-speed automatic transmission. The upgraded 3.6-liter V6 powerplant is available on LS and LT trims for an additional $1,095 and standard on the Premier. This engine produces 305 hp and 264 lb-ft of torque. The four-cylinder engines returns an EPA-estimated 22 miles per gallon city, 29 mpg highway, and 25 combined. The V6's fuel economy drops slightly to 19/28/22 mpg (city/highway/combined). The entry-level Impala is the LS, which is well equipped and starts at $28,895 (all prices include the $875 destination charge). The LS rides on 18-inch wheels and features 10 airbags, a full-color driver information center, an eight-way power driver seat, premium cloth seating with a 60/40-split folding rear seat, halogen headlights, GM’s Electronic Stability Control System, and a Connective Services and OnStar trial. An eight-inch touchscreen infotainment system that displays a rearview camera and provides Android Auto, Apple CarPlay, and Bluetooth connectivity is standard. Also available is 4G LTE and a built-in WiFi hotspot, but this requires a continued subscription to the Chevrolet Connected Services. The LS is sparse on convenience packages, but consumers can add an All-Weather Mat Protection Package ($200) to get premium floor mats and a cargo mat. The mid-level Impala LT starts at $31,395. The LT includes the standard features stuffed into the LS and adds four-way adjustable front-seat head restraints, power-adjustable front passenger lumbar control, dual-zone automatic climate control, a leather-wrapped steering wheel, 18-inch painted wheels, two extra USB charging ports, and heated side mirrors with integrated turn signal indicators. A six-speaker audio system with a three-month SiriusXM subscription is also standard. There are multiple packages that can be added to the LT. A Midnight Edition Appearance Package ($1,595) adds alloy sport pedals, unique 19-inch wheels, a rear spoiler, and front and rear black bowtie emblems. A Sunroof and Spoiler Package ($1,275) brings the two items in its name, while the LT Leather Package ($1,195) includes leather seating and an eight-way power passenger seat. The Driver Confidence Package ($495) adds rear park assist, rear cross-traffic alert, blind-spot monitoring, and lane change alert. For a few more interior goodies, consumers can get the LT Convenience Package ($875) and/or the LT Entertainment Package ($835). The 2019 Impala Premier trim is the range-topper and begins at $37,595. This trim comes standard with the 3.6-liter V6 engine and six-speed automatic transmission. The Premier is packed with upgrades including perforated leather-appointed seating, navigation, keyless access, push-button start, heated front seats, 19-inch alloy wheels, and multiple chrome appointments. Multiple advanced safety features are standard with the Premier including forward collision warning, lane change alert, blind-spot monitoring, lane departure warning, and rear cross-traffic alert. The Premier can be spiced up with the Midnight Edition Appearance Package ($1,195), and the Premier Confidence Package ($1,275) which adds forward collision warning, adaptive cruise control, all-season tires, and 20-inch wheels. Finally, the Premier Convenience Package ($935) includes ventilated front seats, a heated steering wheel, an auto-dimming rearview mirror, carpeted floor mats, a carpeted trunk mat, and memory settings for the driver seat, outside mirrors, and steering wheel. The 2019 Chevrolet Impala isn’t a head-turner, but it does check off most attributes consumers look for with a full-size sedan. For the money, the Impala LT is the best value. If you’re looking for economy, the LS is quite serviceable for the price. 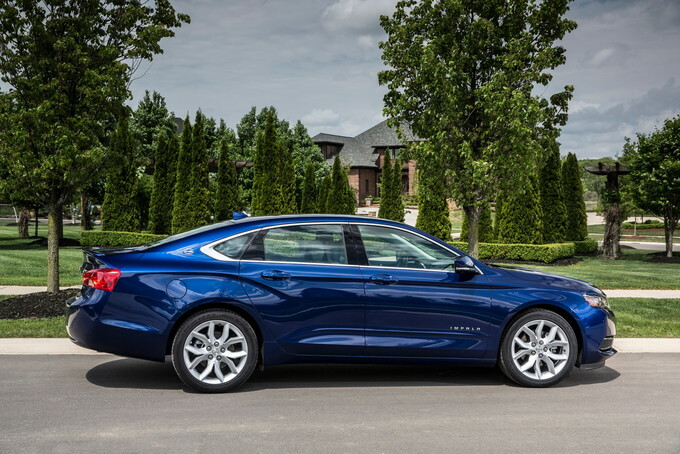 The 2019 Chevrolet Impala is a full-size sedan, one of just a handful of models available in a shrinking segment. Its handsome styling, great ride, and good overall value are its strong points. We’d like to see Chevy offer a full range of active safety technology across the lineup, however. 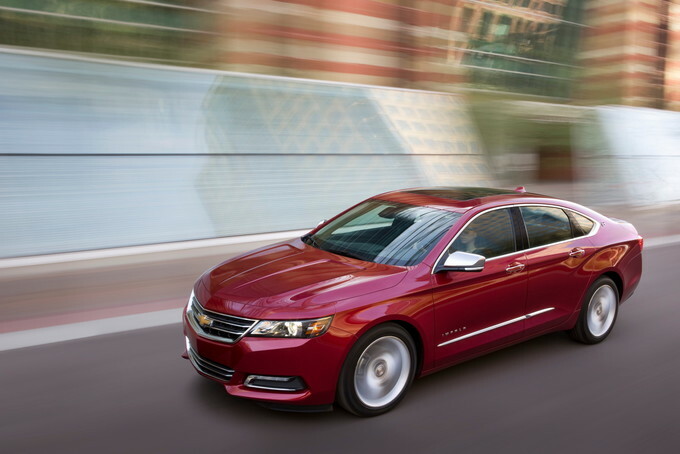 Chevrolet’s Impala is a front-wheel-drive-only model with room for five passengers. 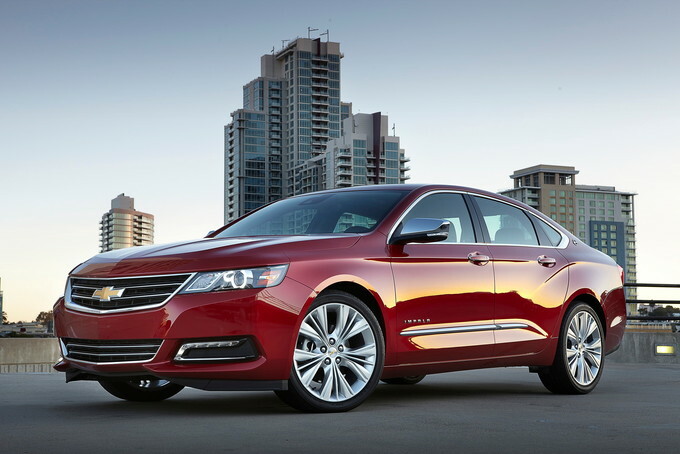 Chevy offers the Impala in LS, LT, and Premier trims. There are two engine choices with the Impala. A 2.5-liter four-cylinder engine with 197 horsepower and 191 pound-feet of torque starts things off and is standard on the LS and LT trims. Standard with the Premier model and available elsewhere is a 3.6-liter V6 engine with 305 hp and 264 lb-ft of torque. Both engines work with a six-speed automatic transmission. Standard features include halogen headlights, automatic light control, power side mirrors, and 18-inch steel wheels. Inside, the Impala has a tilt-and-telescopic steering column, full power accessories, cloth seats, a power driver’s seat, and climate control. Chevy also includes a six-speaker audio system, satellite radio, an eight-inch color touchscreen display, Bluetooth, Apple CarPlay and Android Auto smartphone compatibility, and USB ports. Our pick is the Impala LT with the V6 engine. We like this model because it brings in such features as alloy wheels, heated side mirrors, dual-zone climate control, a power-operated front passenger seat, and two additional USB ports. The standard 2.5-liter four-cylinder engine engine is small and relatively underpowered for this large sedan, but it's adequate under light loads. However, if you plan on carrying a full contingent of passengers, the V6 is the better choice. It offers robust step-off acceleration and ample passing power. 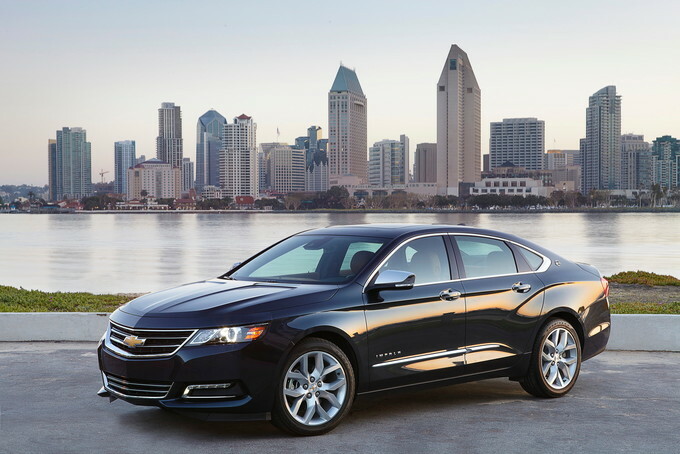 Regardless of your engine choice, the Impala offers crisp, direct steering and a comfortable ride. Chevrolet hasn’t changed the current and 10th-generation Impala all that much since it rolled out in the 2014 model year. Nevertheless, this sedan has aged well and looks especially elegant in Premier guise with its LED lights and handsome aluminum alloy wheels. A high beltline and a long falling roofline give this sedan a solid presence. The raised rear deck points to something that’s readily apparent: the trunk measures 18.8 cubic feet for one of the largest sizes in its class. Inside, the cabin is spacious with ample room for five. The interior seems a bit busy, especially across the dashboard with it multiple cut lines, colors, and variety of materials. The top section of the dashboard pushes into the door panels, a look that's enhanced when contrasting gray or tan upholstery is chosen. We found the seats comfortable and supportive, especially up front. The rear seat offers ample shoulder and hip support and leg room for three. Head room may be an issue for tall passengers as the roofline slopes sharply at the back of the seat. Pricewise, the Chevrolet Impala should receive your strong consideration. It comes in at a lower price than its competitors and matches some mid-size models in cost. What disappoints us is the limited number of driver-assist features. Advanced safety technologies like adaptive cruise control and automatic emergency braking are only offered on the top-of-the-line Premier trim, and even there they're part of a $1,275 package. We realize sedans – especially larger models – have a shrinking customer base to draw upon as the market skews toward crossovers and SUVs. But if you’re wanting a very good combination of value and space, then the Impala should do it for you. On the other hand, if you want all-wheel drive, you’re out of luck. The costlier Buick LaCrosse, however, has that option. The 2019 Chevrolet Impala supplies big car hauling wrapped within a sporty design. Its large trunk ensures that everyone has sufficient space for a long weekend getaway. And that trip should be a comfortable one with the available V6 engine ensuring sufficient power at all times. We have partnered with trusted dealers in your area to give you a great price on the new Chevrolet Impala.